For years I had wanted to create some music that I was proud enough to release, but I found it really difficult to get tracks finished. When I realised I had enough stuff to make a small collection, I set about bringing them together into an EP. 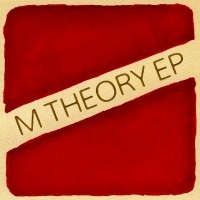 M Theory EP was finished in 2011, and features 6 glitchy beats, inspired by both space and computer games.